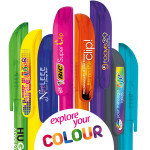 This promotional pen is available in a wide variety of bright and eye-catching colours with a translucent barrel! The minimum order quantity for the BIC Super Clip is 250 units. The BIC Super Clip is the latest, greatest pen option from the promotional BIC range. These pens are made specifically with a large clip for fantastic branding opportunities- hence the name Super Clip. 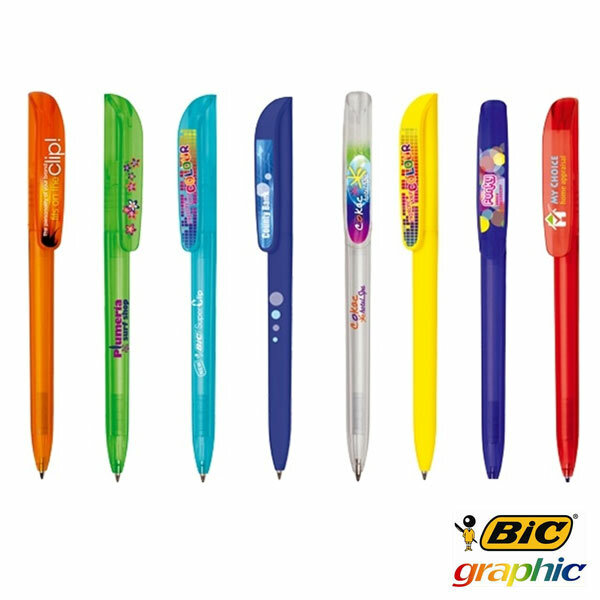 The BIC Super Clip Pen is also available in a range of bright and vibrant colours to suit your corporate image and logo selection. 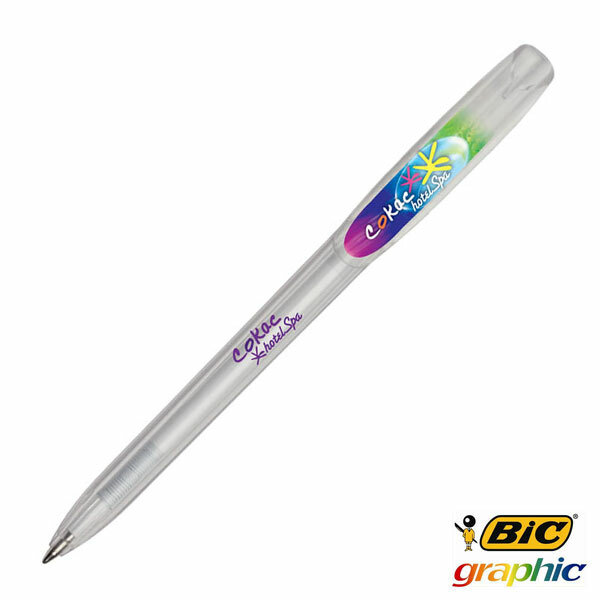 The smooth finish and comfortable barrel allow for branding not just on the clip, but on the body as well, allowing for a diverse range of graphics- perhaps your detail on the barrel and your logo on the clip. Why brand on the pen clip? 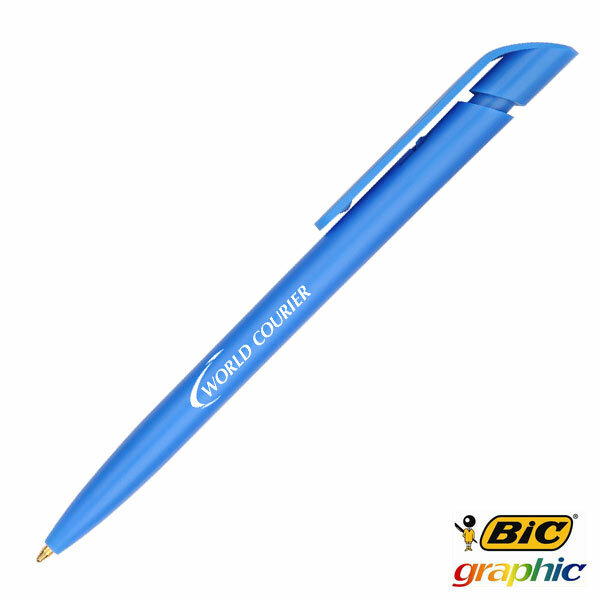 When you put your pen in your shirt pocket the only visible part is always the clip, this allows for a great passive marketing tool that gives you maximum exposure within the working world. 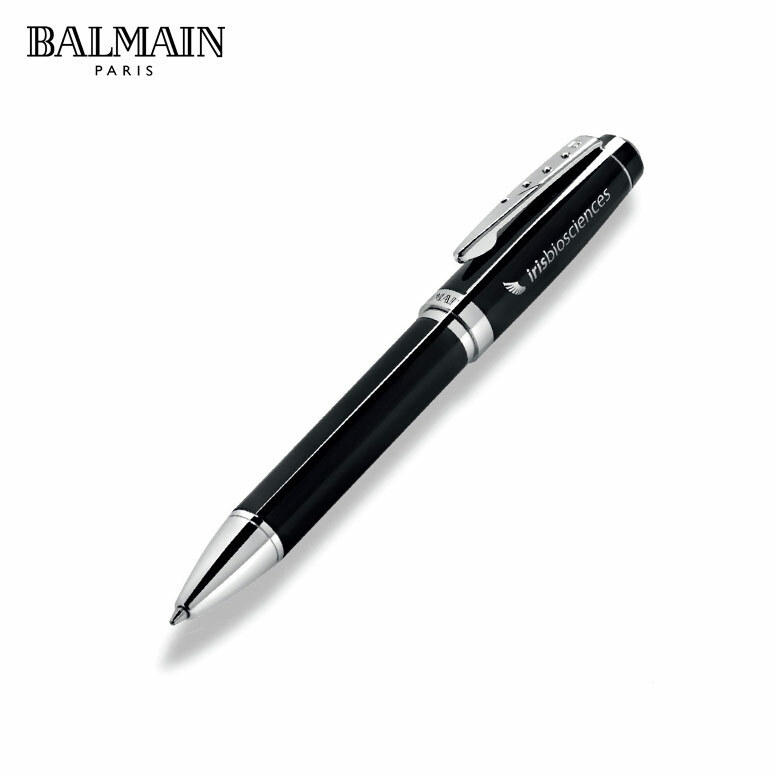 Bot only that, but when you write with a pen, your hand will cover the barrel but the clip is always visible to those around you. 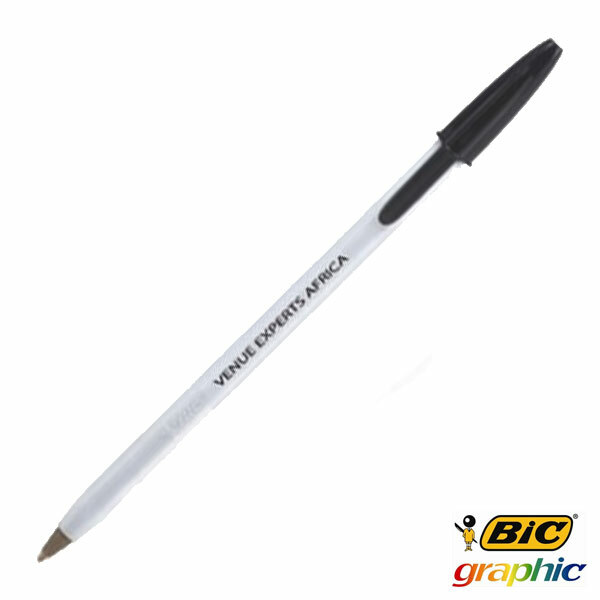 This gives you maximum branding exposure with minimum input and start to finish ease. 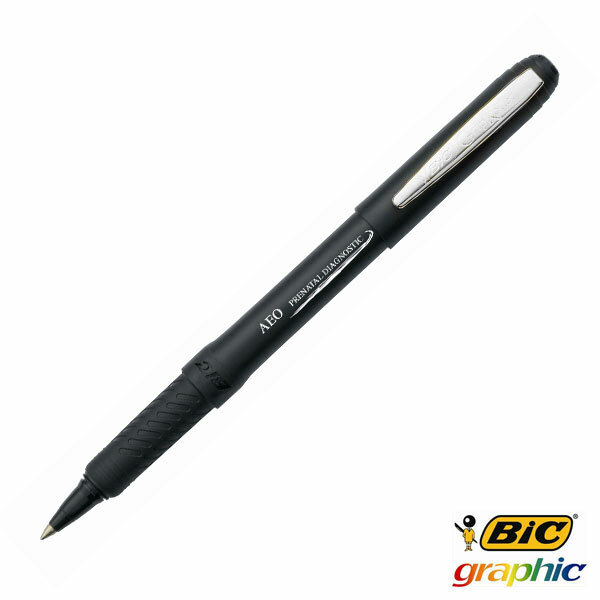 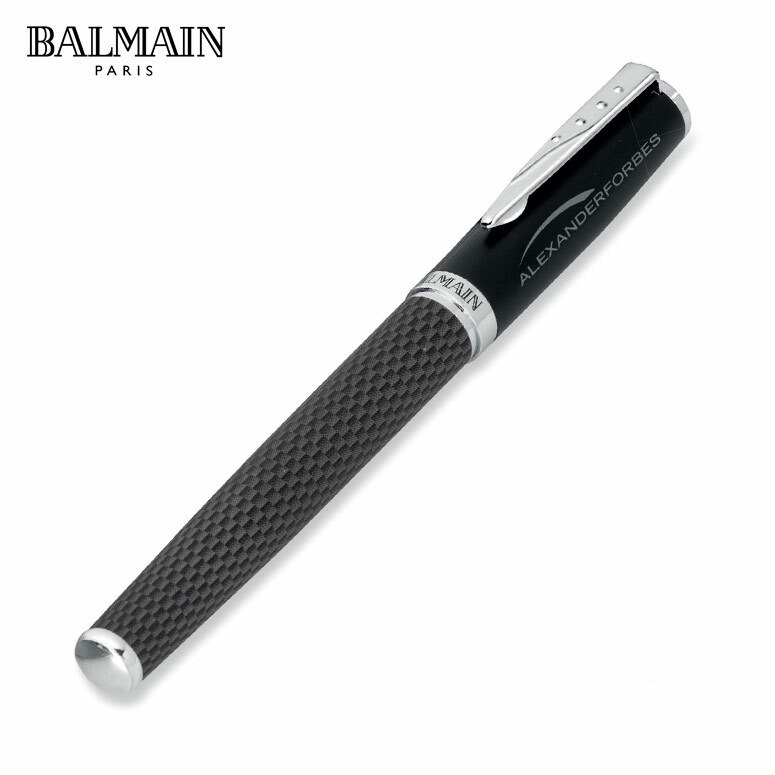 These pens are great quality, twist action ballpoint pens with black ink. 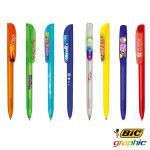 A great promotional gift to have around the office as stationary, these well designed pens make for a comfortable writing experience synonymous with the BIC brand name and reputation.